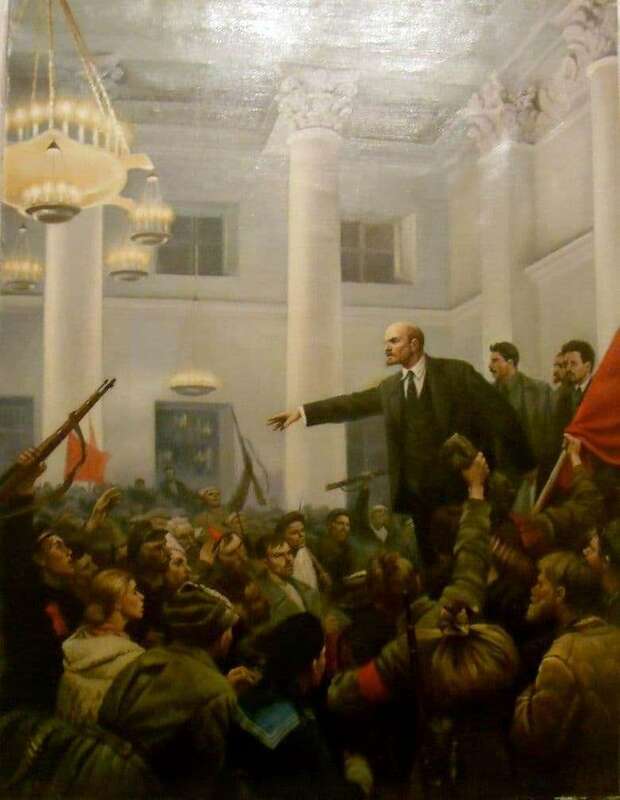 Vladimir Serov’s painting “Lenin Proclaims Soviet Power” became the hallmark of social realism and the most important events in the history of the country. Millions of copies of the image were decorated with posters, school books and postage stamps. She brought the creator universal recognition and state award. The leader of the revolution is depicted in the hall of the Smolny Institute of Noble Maidens, which became the site of the historical events of 1917. His fiery speech inspires proletarian uprising against the Provisional Government. The plot tells about the close relationship of the party and the working people. An old peasant, a veteran of the First World War, students and factory workers find solace in Lenin’s words. Emotional tension and a thirst for change permeate everything tightly. The spectator as if joins in listening to the first decrees and becomes on a par with the heroes. The painting is of interest not only for art historians, but also for historians. There are three Serov canvases of the same name and the same plot. The first was written in 1947. On the right hand of Vladimir Ilyich stand Joseph Vissarionovich, Felix Edmundovich and Sverdlov. The location of the canvas is not installed. After the death of Stalin and the exposure of the “personality cult” behind Lenin, people appeared in fur hats with rifles in their hands. The picture also sank into oblivion. In the Tretyakov Gallery is another copy of her hand of the author. Despite the troubles, the plot remained unchanged – the triumph of the masses and their unity with the Soviet regime.